How we greet the seasons and know there is a pattern is a wisdom that comes only with experience. I thought my Passion Flower was finally blooming when I saw something glowing in the leaves. 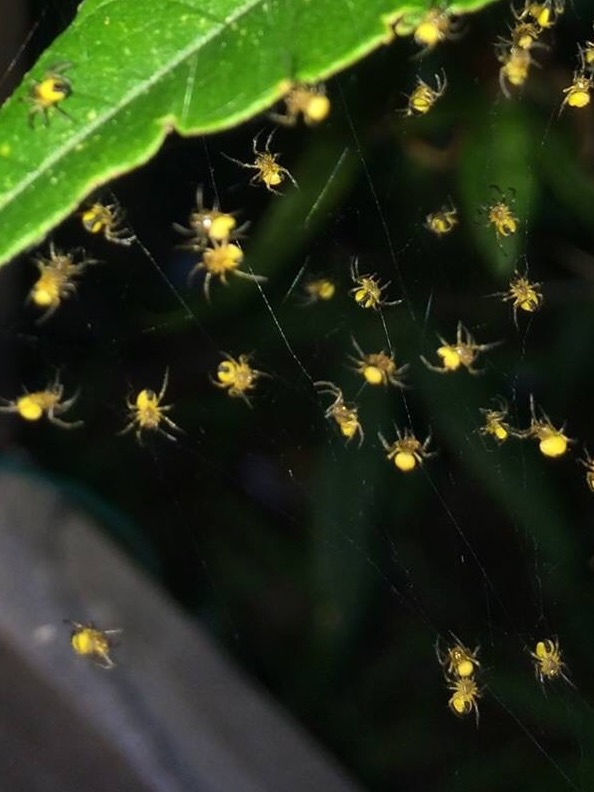 Upon closer inspection I discover it was a nest newly hatched spiders, probably the children of the majestic papal spiders that graced our shrubs all last summer and fall. Even though the wind was blowing I was able to them swinging in the was they were already spinning. 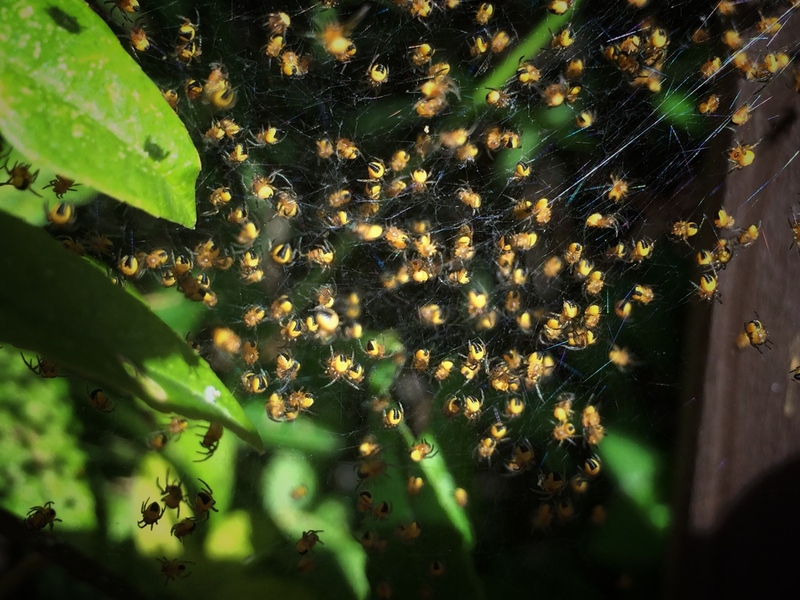 I probably should have saved these for next week’s Macro Challenge because each spider is the size of a pin head. Today however I feel like they capture the essences and promise of the nature of spring. I would love the hear what you think. This entry was posted in Nature, papal spider, Photography and tagged Gardening, nature, Photography. Bookmark the permalink. CFF Summer Fire What Color is Vermillion? I have never witnessed anything like this!! You are so lucky to have captured it. It was a treat to see only lasted one day and they were gone. Off to grow big for the fall. Wow, a true sign of a season’s surprises, thanks for capturing such a natural event that we rarely spy. Happy Photo Challenge. Yes total treat. I’ll probably be posting topics of them all grown up in the late summer. Great photos! And I love your comparison to twinkle lights! A friend gave it the name twinkle lights. Thanks. Good eyes, Carol. This is a challenging subject for a photo and you pulled it off. Well done. Fortunately I could sit on the steps and shoot away. Depth of field can be a problem with these little bit ties. Yes, it can be a challenge, but you made it work. I got lucky seeing this for sure. Happy to share it virtually.